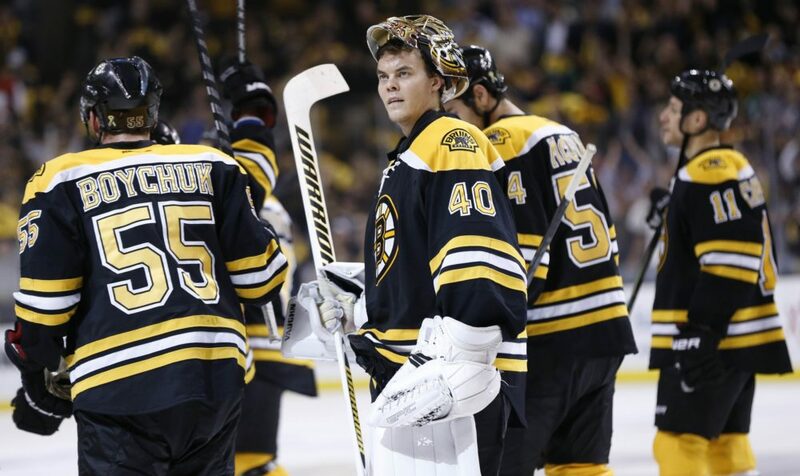 Tuukka Rask doesn’t think the Bruins are playing their best hockey yet. Seriously. No more than twenty minutes removed from the Boston’s ninth straight win, a 4-1 victory over the Minnesota Wild on Monday night, Rask thinks the Bruins can be better. He’s right. The offense is good, he’s right about that. In fact, you could go further saying that the offense is really good. The 219 goals scored this season by the Bruins are third highest of any team in the NHL. 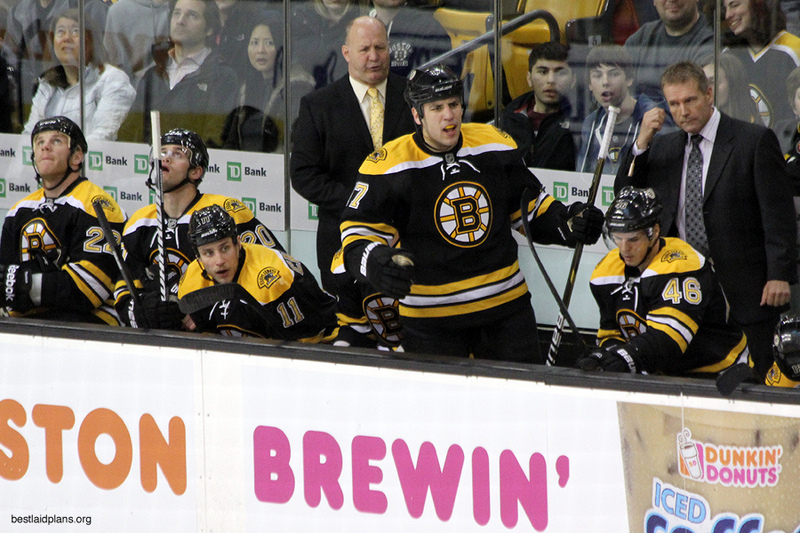 Even the defense, albeit without top-pairing blue-liner Dennis Seidenberg, is really good. Their 147 goals allowed is second fewest in the NHL and their goal difference of +72, is tied for best with the St. Louis Blues. Statistically, the Bruins are surging. The Bruins’ current win streak won’t tell us the outcome of how the 2013-14 roster fares but rather, what the team is capable of. This Bruins team is capable of playing in another Stanley Cup Final but to get there, they need to be better, even if they’re already really good. Rask had a point when he brought up the sudden spike in breakaways that the Bruins have given up. All too often as of late, opponents are getting a clear look at the Bruins’ goaltender with either a partial or full breakaway after a turnover or giveaway on the offensive zone blue line. This comes partially from the fact that many Bruin defenders have been horrendous handling the puck at times. In actuality, it’s likely more because of the constant shuffling of defensive partners. Since acquiring Andrej Mezsaros, the Bruins have shuffled him in and out of the lineup while scratching Dougie Hamilton, a right shot, Torey Krug, a left shot, and Johnny Boychuk, albeit injured, a right shot. Adam McQuaid, though he isn’t having a good year but does provide somewhat of a veteran presence, is almost entirely out of the picture. This means, the only Bruins defensemen who have played consistently since the trade deadline have been Zdeno Chara, Matt Bartkowski, and Kevan Miller. Each of which, hypothetically, would be on three separate pairings. A bit of chemistry goes a long way and once partners begin to build that up, the communication and sixth sense of knowing where your partner is on the ice will develop. Right now, it’s not there. Even though the Bruins have eight defensemen on the active roster, and Julien believes this is a strength, some chemistry must develop within the pairings. Knowing when your defensive partner pinches in the offensive zone is crucial for coverage and that’s just the beginning. The Bruins must continue to find ways to be stronger on defense with a younger, less experienced group than the team is used to. But for now, they’re winning. The Bruins, even with some minor flaws, have put together an impressive nine-game streak, outscoring their opponents 37-14. While March has historically been the time that the Bruins go on a lull before the playoffs, they’re instead gaining a tighter grip on the Atlantic Division, and now Eastern Conference lead. But don’t tell the Bruins, especially not Claude Julien, that they’re peaking. Because that’s not it either. While it’s silly to think that the team is peaking now (they’re not), it’s undeniable that the Bruins are playing really good hockey and their streak of nine straight wins proves that. But then again, that’s all it really is–a streak, a collection of wins strung over consecutive games. It’s something that could end hours from now when the Bruins face-off against the New Jersey Devils. 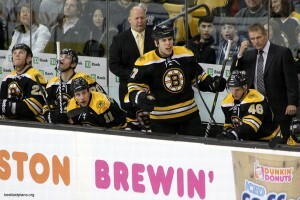 To say that the Bruins have peaked means that they’ve reached their pinnacle on the season. They haven’t. For opponents, maybe that’s the scariest part. Check out our partners at TiqIQ for the best deals on Boston Bruins tickets for all 2013-14 games.